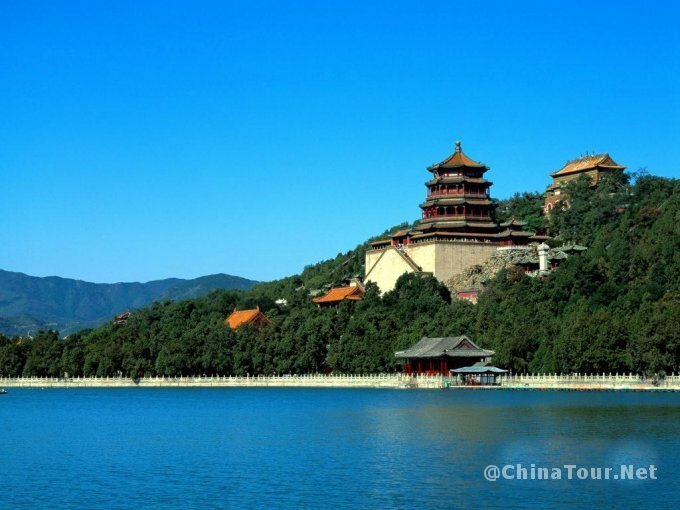 Located about 20 kilometers northwest of the city center,the Summer Palace is one of the finest sights of Beijing. 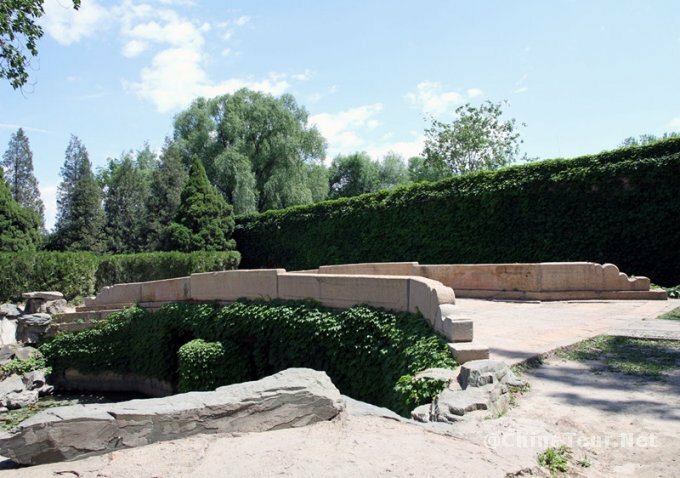 It has a area of 3.4 square kilometers, three-fourths of which is covered with shallow lakes. 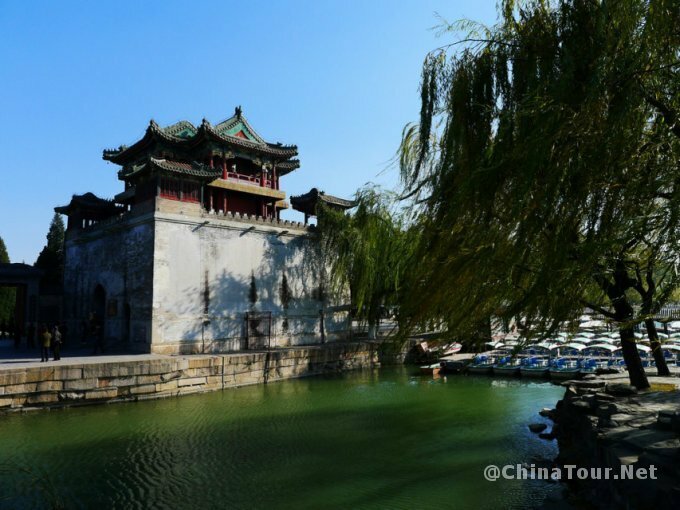 Summer Palace has a history of over 800 years old and originally was used as a summer residence for the royal family in Qing Dynasty. 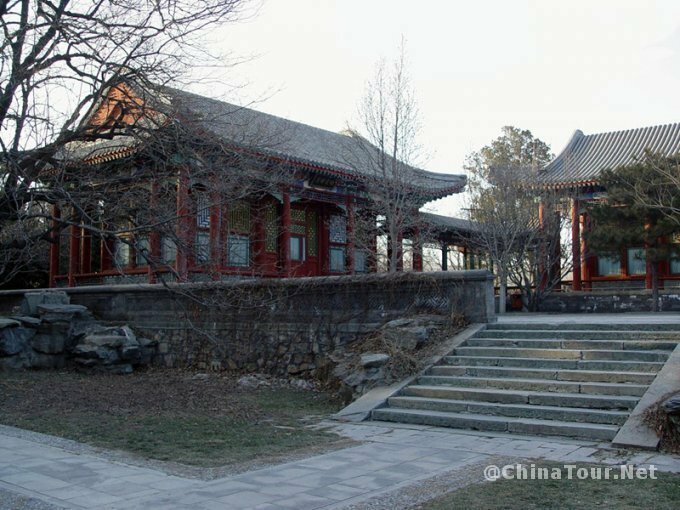 Facing the East Palace Gate is the Hall of Benevolence and Longevity. It was first built in 1750. 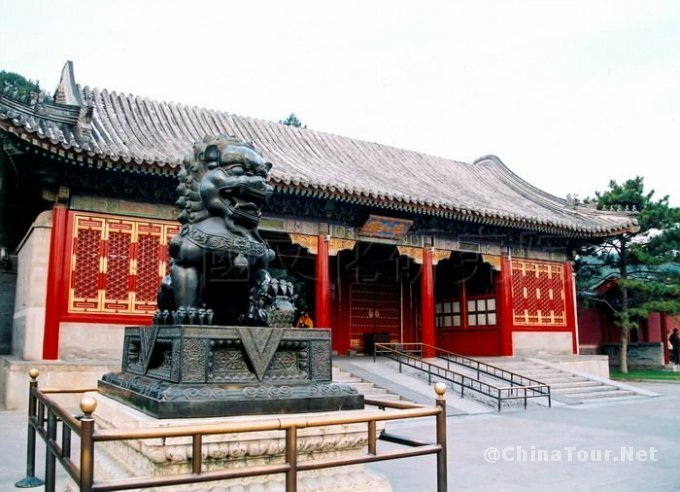 In the middle of the hall stands a throne carved with a design of nine dragons. A pair of fans made of peacock feathers were put up by the side of the throne to give a graceful atmosphere. 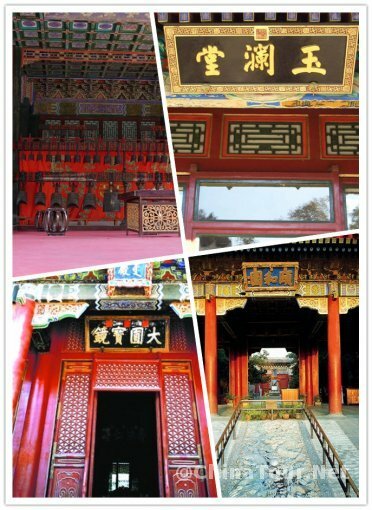 Lying behind the Hall of Benevolence and Longevity is the Hall of Joy and Longevity. It was the residential area, which consists mainly of three quadrangles of one-story houses. On display are imperial seats, long shaft fans, embroidery pieces, large porcelain fruits plates and gold plated bronze burners. 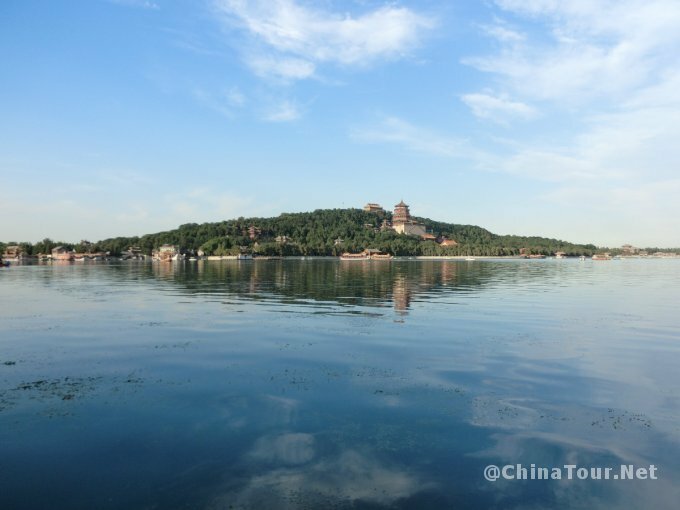 The most beautiful part of the Summer Palace is dominated by the Longevity Hill and the Kunming Lake. Between the two is the Long Corridor. 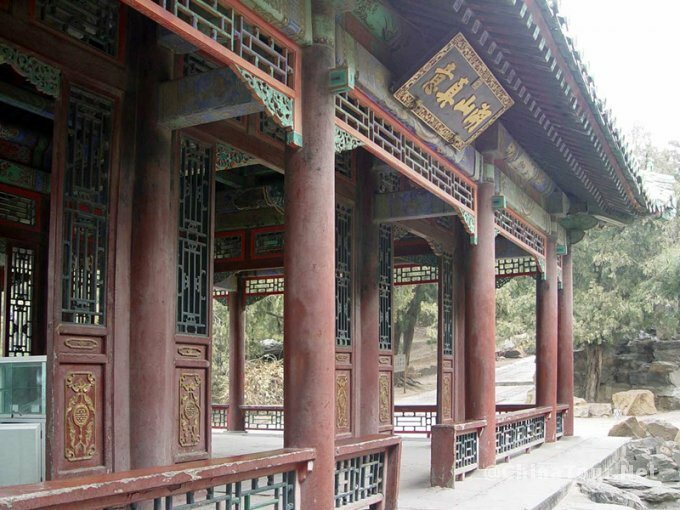 It is 728 meters long and divided into 273 sections, with pavilions as convectors. 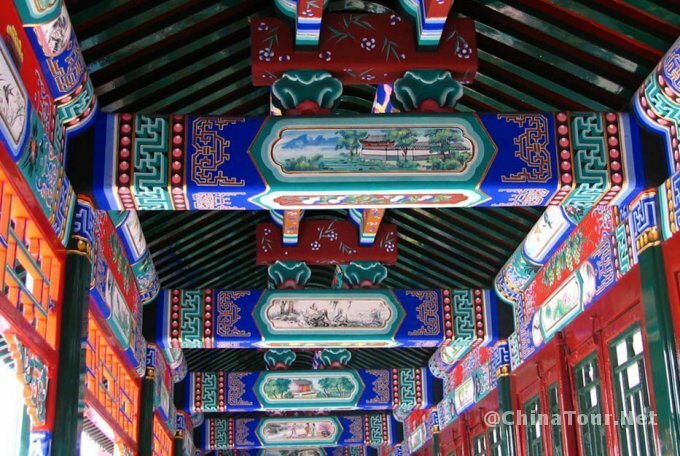 In 1990, this covered walkway was listed as the longest Painted Corridor in the Guinness book of the world Records. Most of paintings are of human figures and houses, flowers and birds, mountains and rivers, vivid and delicate. 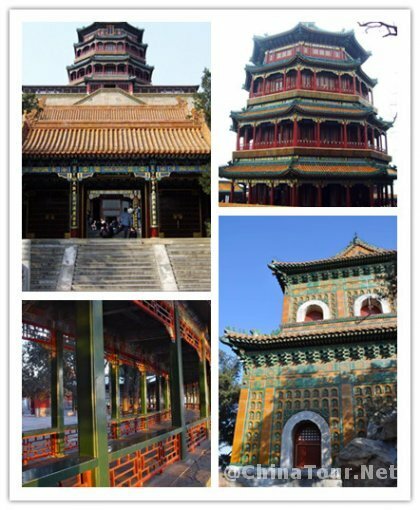 There are over 2000 paintings depicting the scenes from the Chinese classic novels, historical records,folk tales, which are telling the 5000 years history of China. 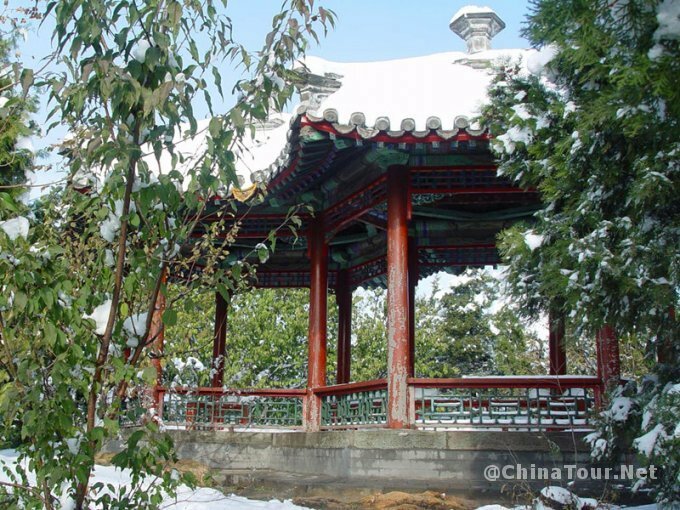 The Longevity Hill is covered by green trees with buildings and pavilions among them. Standing on the top of the hill, visitors command a spectacular view of buildings of different shapes and sizes below. 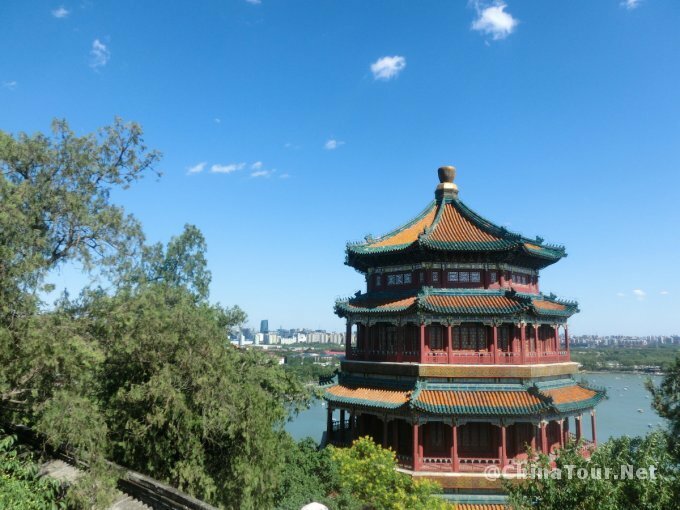 Their golden roofs glittering under the sun; the placid, huge Kunming Lake dotted with rowing boats.The Tower of Buddhist Incense, the highest building inside the summer palace lies in the top of the Longevity Hill. 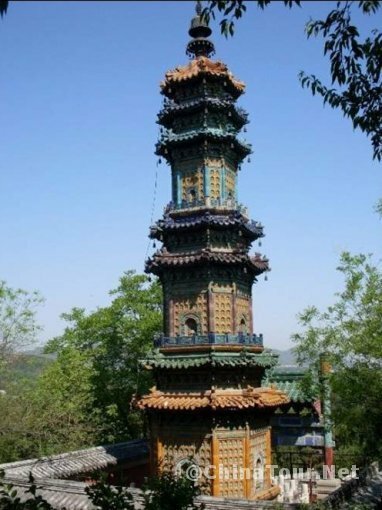 This tower used to be a place for the emperors and the empresses to pray. 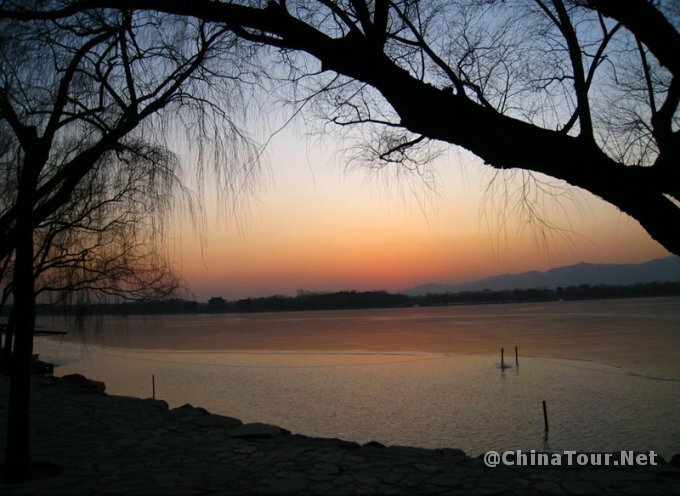 Kunming Lake occupies most of the area of the park. 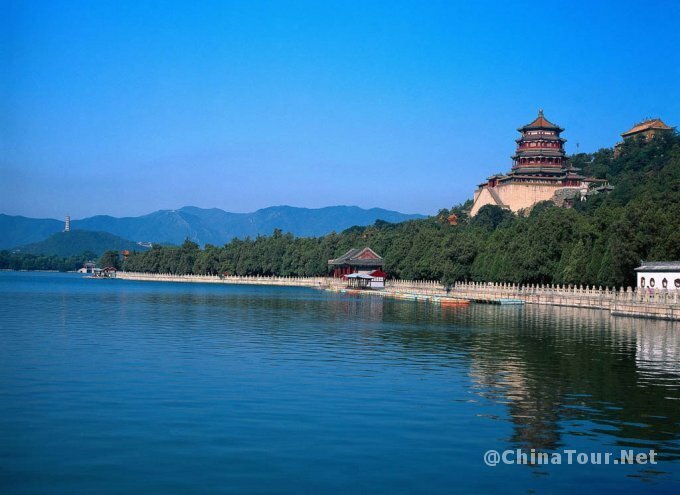 There in the water is the Southern Lake Island, on which stands the Temple of the Dragon King. 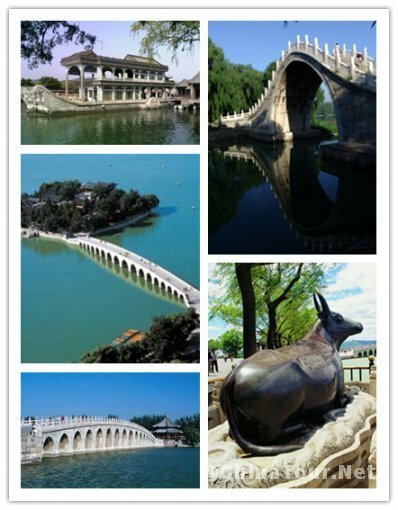 The Seventeen-arch Bridge, which is 150 meters long, 8 meters wide, connects the island to the eastern lake-shore. 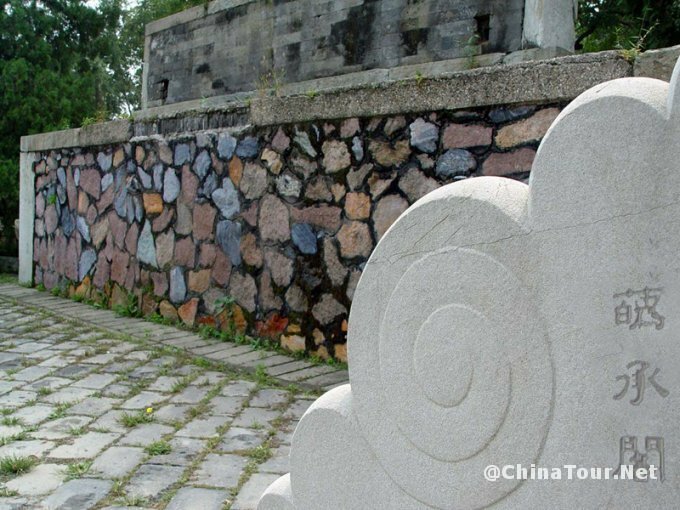 Carved stone lions, of different sizes and postures, sit on top of the bridge’s stone columns. 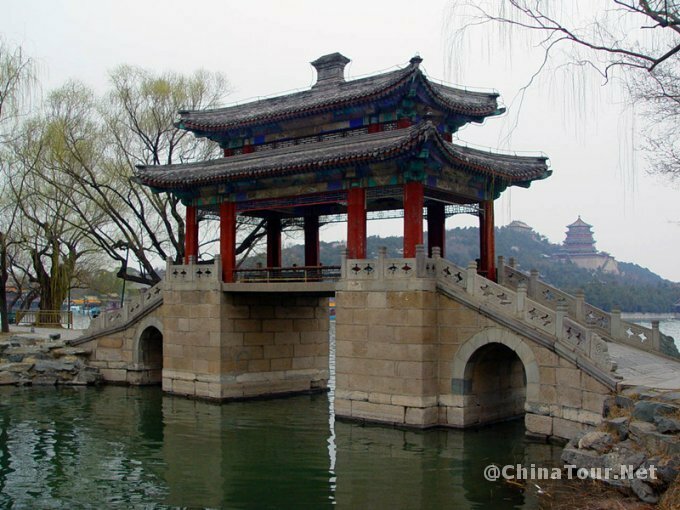 An octagonal pavilion stands at one end of the bridge and near the pavilion lies a bronze ox with its head raised toward the lake. 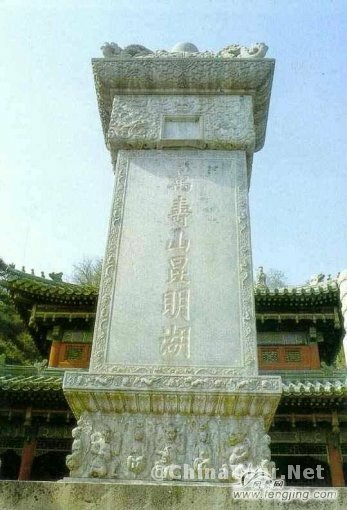 On the back of the ox is engraved a line from Emperor Qianlong stating that the ox is used to control flooding of the lake. 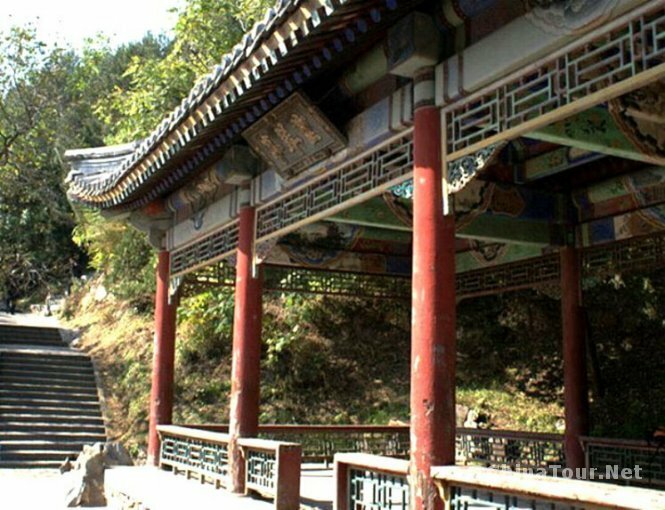 A Ming-style street winds along a stretch of water on the back side of Longevity Hill. 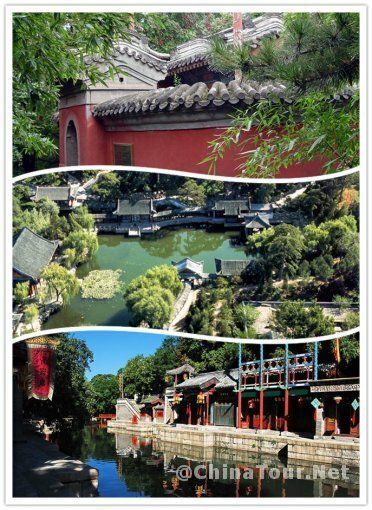 The Suzhou Street, 300 meters long, is lined with more than 60 shops and decorated with archways and gateways. The shops with different shapes and sizes, are built with bluish gray tiles and bricks. The market place lends a folksy flavor to the imperial garden. 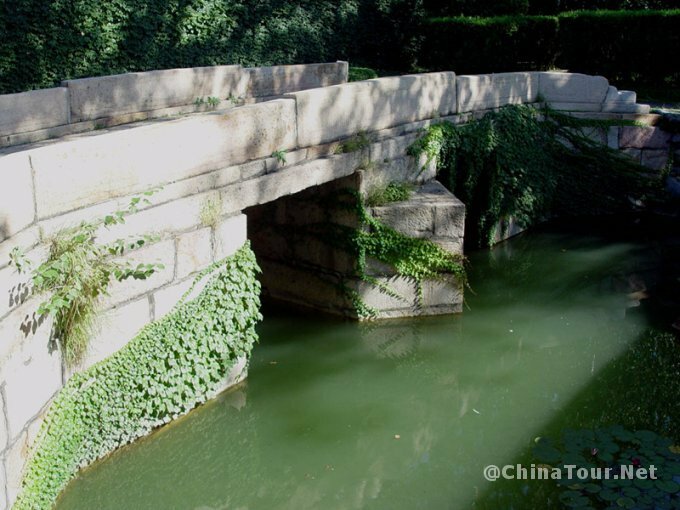 In designing, eight principles of the classic Chinese garden are observed here, that is the, interest of seasons, interest of water, interest of bridges, interest of calligraphy, interest of pavilions, interest of paintings, interest of walkways, interest of intimations. All these made it a dream garden. How to get there: Take Subway Line 4 to Beigongmen Station. Exit the station to find the north gate of Summer Palace. Take bus 209,330,331,332,346,683,690,718,801,808 or 826. get off at Yiheyuan Station. 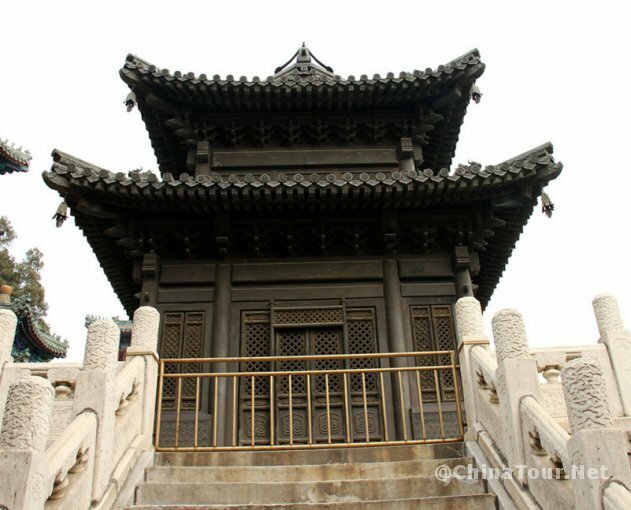 Click here to learn more about the history of the Summer Palace. 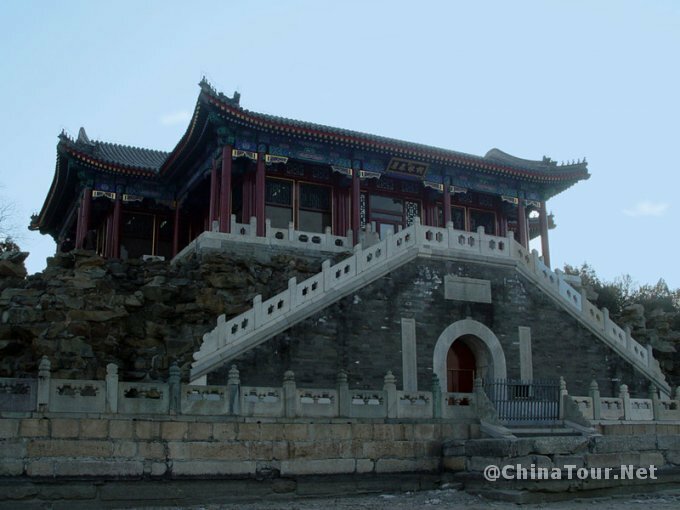 The following is an overview of the attractions in the Summer Palace. View more attractions. Click here to view more tours.